No expense spared as Cocoon brings stars of past and present to its special one-off on 25 May. Drum roll please... it's the news passionate Cocooners worldwide have been waiting for. Sven Väth and the Cocoon team have announced the line-up for the milestone Cocoon20 at Ushuaïa on Saturday 25 May. Hold onto your seats, as you've probably already guessed, the party has gone all out to ignite Cocoon's 20th anniversary plans. In a nod to the previous decade's celebrations, Sven again invites the legendary Underworld to play live. The UK duo were the marquee guest act back in 2009 for Cocoon's 10th anniversary, so it's fitting that they are involved again. 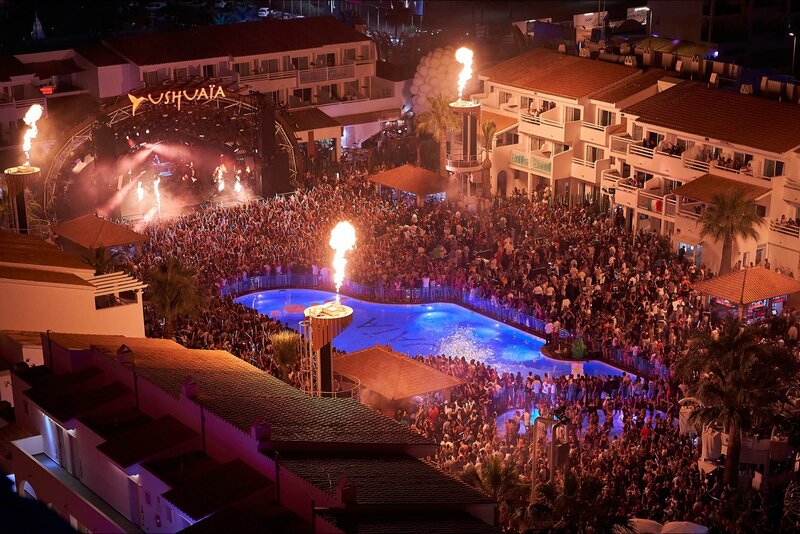 The grand show at Ushuaia on 25 May provides a markedly larger stage and we can expect some pretty special production to accompany the performance. Cocoon is about more than Sven Väth only. From the party's inception, Papa has always had the privilege of calling on a high-calibre support cast, which continues to be the case in 2019. One of the standout stars of the current roster is Ilario Alicante, often outshining those given higher billing, we look forward to the day he's given his full dues. Ilario always delivers, especially when playing for Cocoon and we're buzzing for his inclusion. Cocoon residents Dana Ruh and André Galluzzi will open the show with a back-to-back set - even as recent as last summer, we recall their last prized b2b on Ibiza. Another further twist in the tale is that the party hands one artist their Ibiza debut with Germany's Matthias Tanzmann, a recurring face at DC10, getting a Cocoon call-up at this landmark event. Cocoon20's super line-up comes off the back of the news that Cocoon is returning to Amnesia for ten emotionally-charged Mondays from 27 May, on alternate weeks. We've got a sneaky suspicion that this is only just the start, and Cocoon has more surprises in store. Coming a day after IMS finishes, Saturday 25 May at Ushuaïa stands to be a dramatic start of a big year for Cocoon. Its biggest ever. To become part of this legendary occasion yourself, check below for further information and ticketing.